Funny how life works – you get inspired by something, a book, music, a piece of jewelry, a conversation, something delicious, a place…and you think AHA! That’s what I want to do with my life, it’s going to be wonderful. The more you work and learn and connect and strive, the more knowledgeable, professional and experienced you become. You also discover a flip side, the underbelly of the profession, or craft. It has never ceased to amaze me that even in mundane, milquetoast work, there is a jockeying for position, even sabotage. Petty nonsense that makes one wonder about human nature. 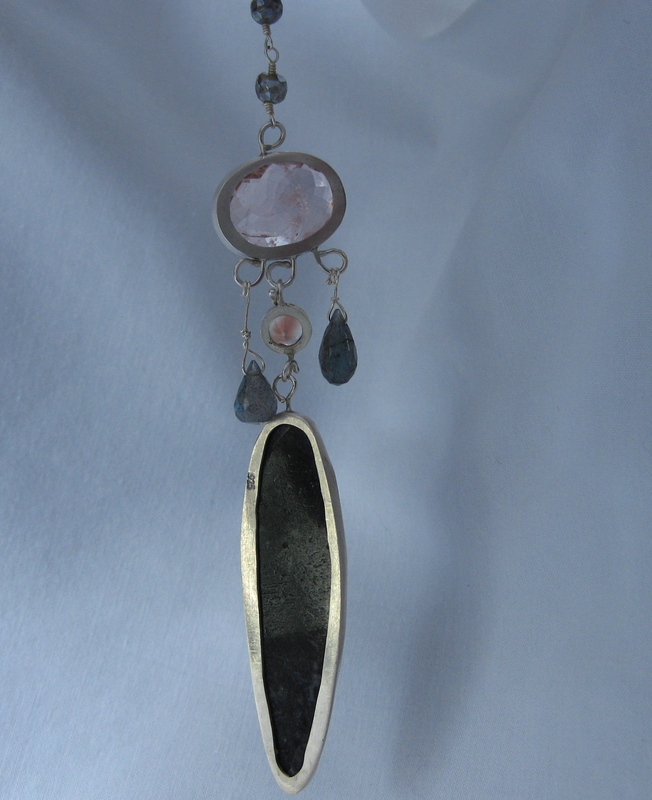 Last year I decided to resurrect my jewelry career. My Aunt Lydia’s death the year before made me reevaluate many things, including that I needed to do something else. To quote Leonard Cohen (from an interview): “In your work, you locate your self respect”. I love to get lost in the pieces, in the craft, in the symbols of love, wealth, healing and spirituality. 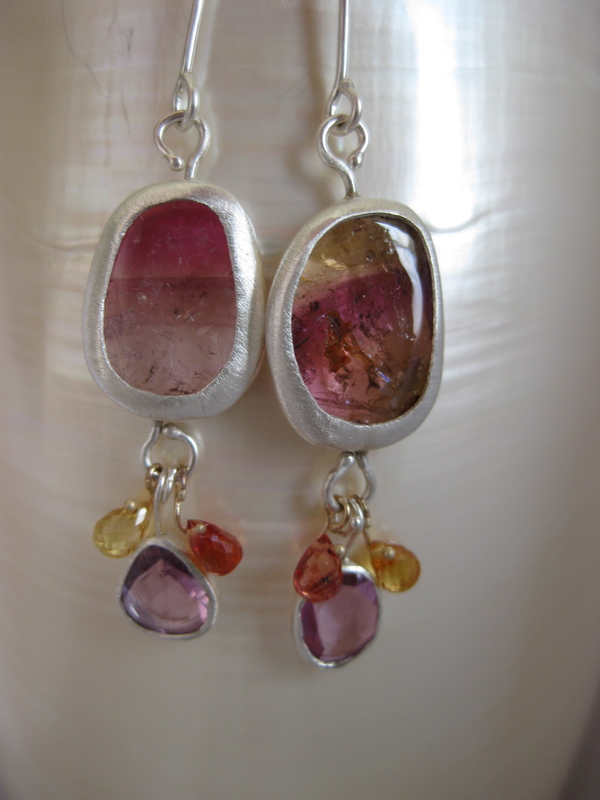 I love the gemstones, and I like to pay attention to the details. Like the derriere. The underbelly. I want my underbellies to be beautiful. Practical, because they make the foundation and support the piece, but still have their own beauty. Mary isn’t just a “buyer” of my work, I would put her in the “collector” category, and I am very flattered that she’s “collecting” me! Merci Mary! I have always thought that the “underside” of things was important, I want to show that there can be no hidden agendas, no dark seamy surprises. The way you thought life would be when you were young and naive. Unfortunately, I am guilty of neglecting to photograph the unseen side of things very often, and I cannot show you Mary’s pieces, but I am thrilled that they have found a good home. There is nothing more disappointing than picking up a piece of jewelry or a beautiful dress or, anything really, and finding the innards were dismissed as not important. 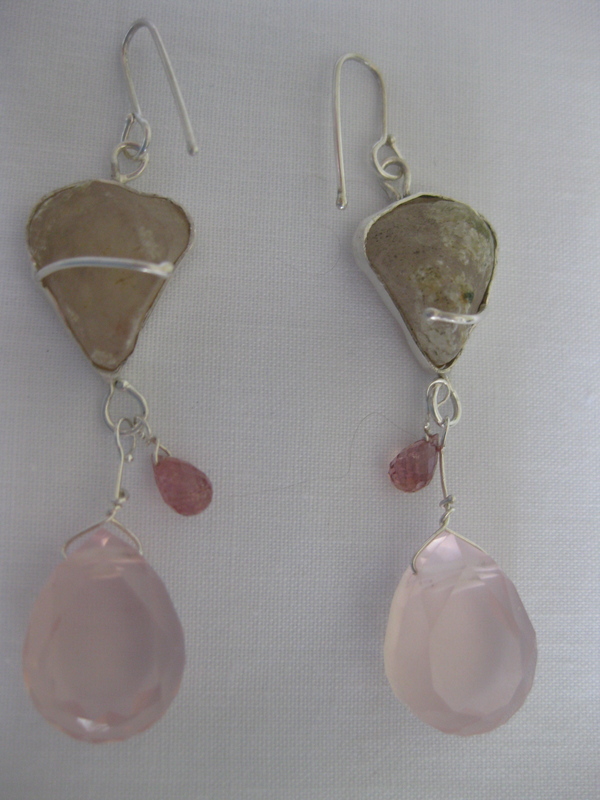 I am delighted that handmade jewelry is becoming sought after again. I also found it amusing (and sad) to read an interview in a jewelry trade magazine: An owner of a supply company boasting that his company had machines & equipment “that can make jewelry look handmade”. I wonder what the underbellies look like? Purple. The color of royalty, mystery, wisdom, magic. It’s warm and cool, complex, like fine wine. Cleopatra loved purple. I love purple, I have a Pinterest board dedicated to it! 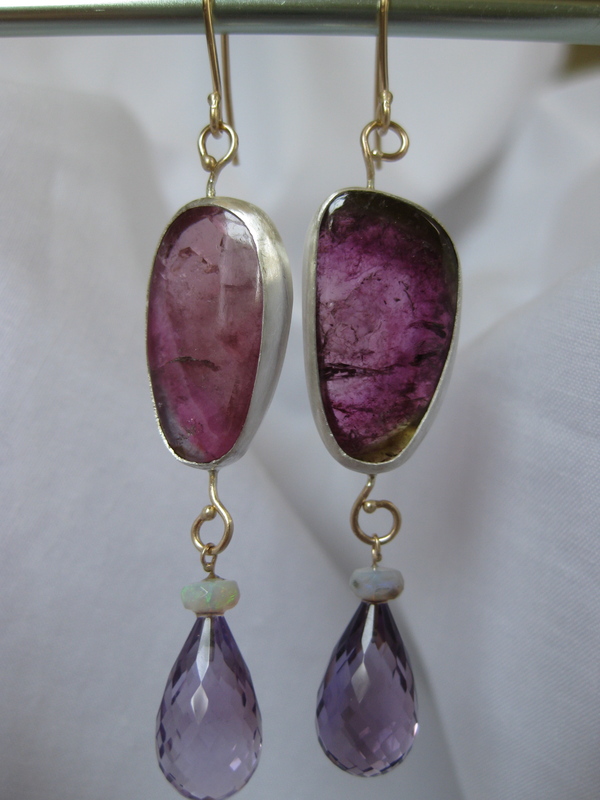 I have one for turquoise too, but purple has always been a fascination for me. 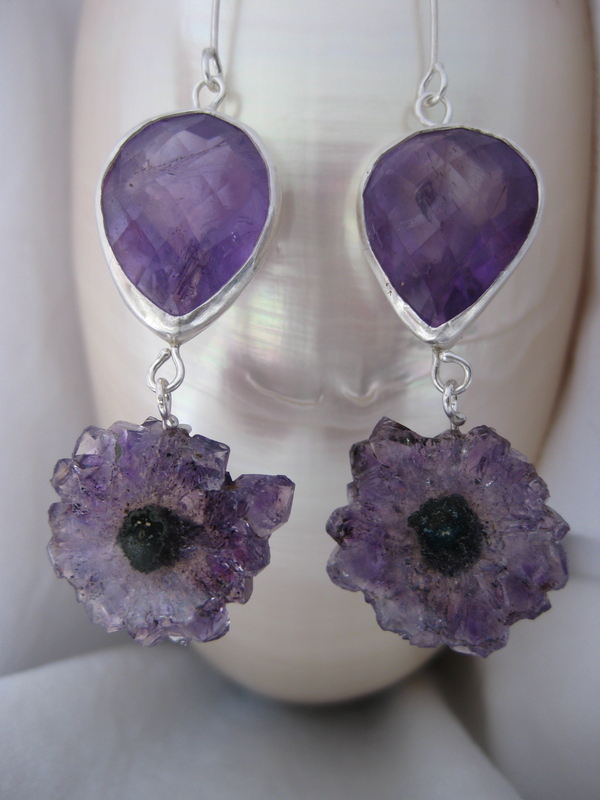 I also have a website page “Her Purpleness” dedicated to my purple pieces! 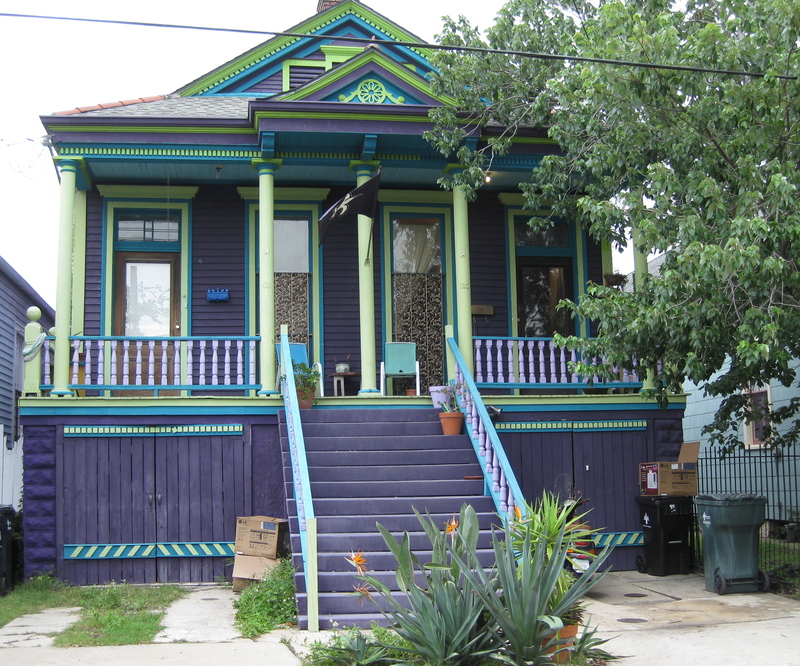 I once owned a house that I painted purple. 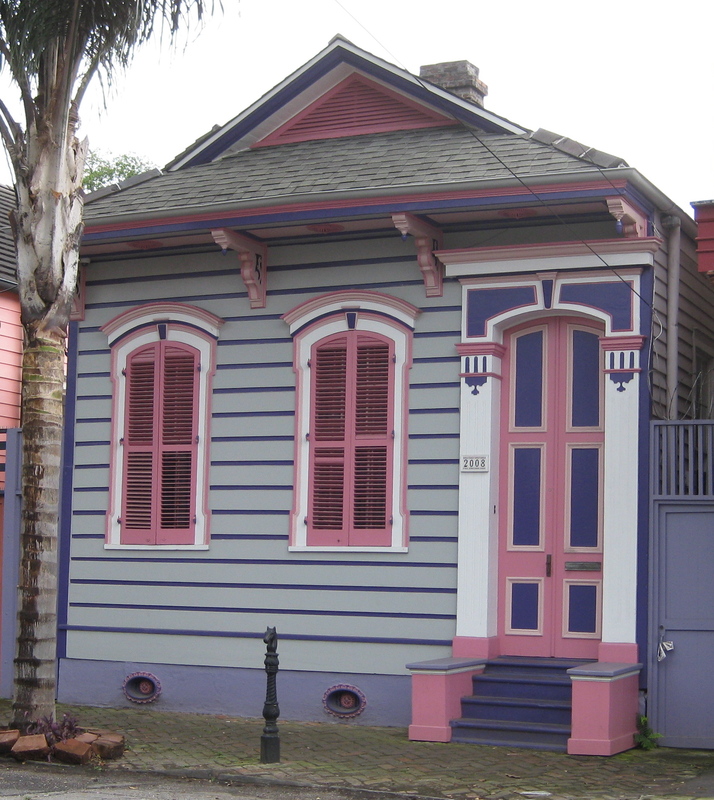 The problem was, it wasn’t in New Orleans and my neighbors got upset. They got over it, I moved, and the new owner painted it green. Ho hum. 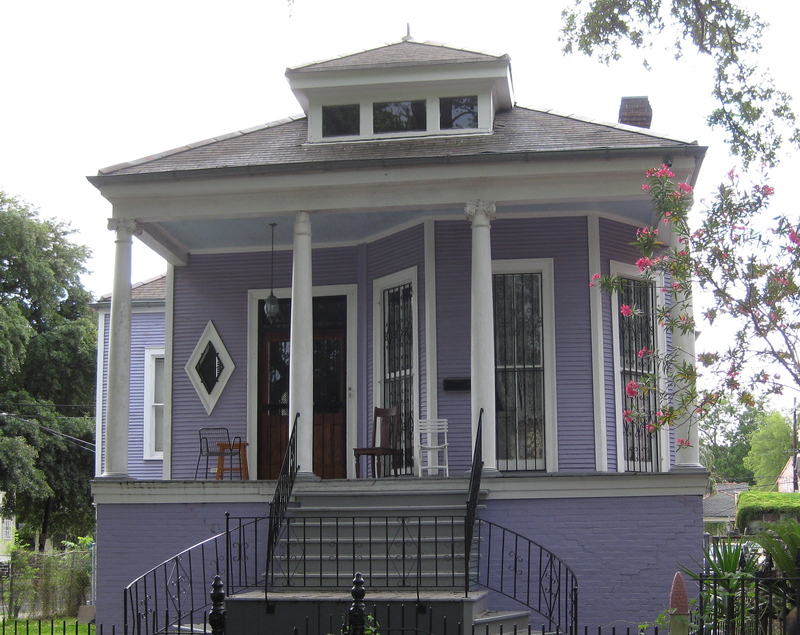 Now that I am in New Orleans, purple houses are routine. So now, my house is yellow. With periwinkle trim (which technically is sort of purple), and a couple of other colors because sometimes, as my husband tells me, I don’t know when to stop. Good taste is a thin line. 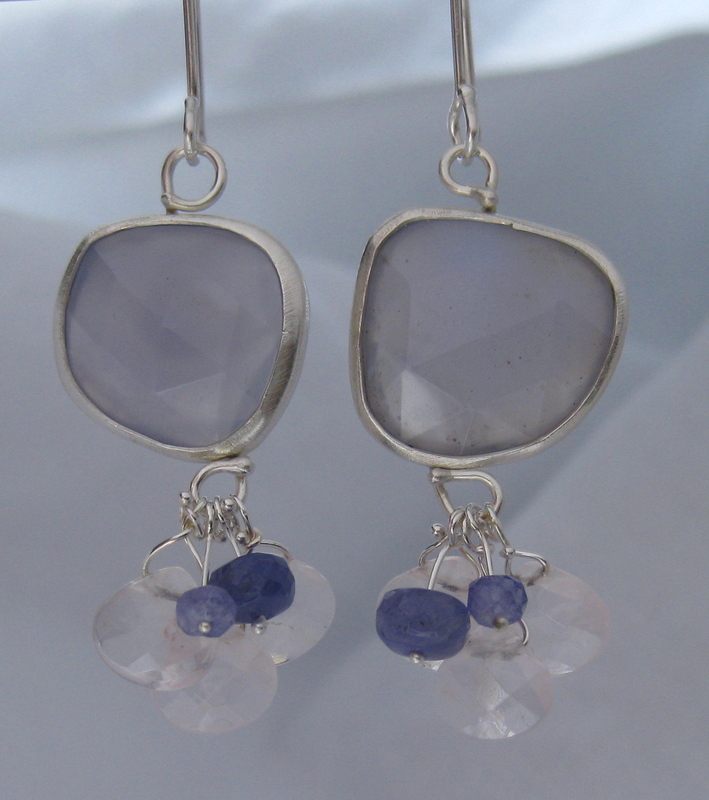 Here’s another thin line – what was I thinking buying these? When these arrived last fall, I thought: “GOOD GRIEF! Who is going to wear these? And what could I possibly put them in?”. 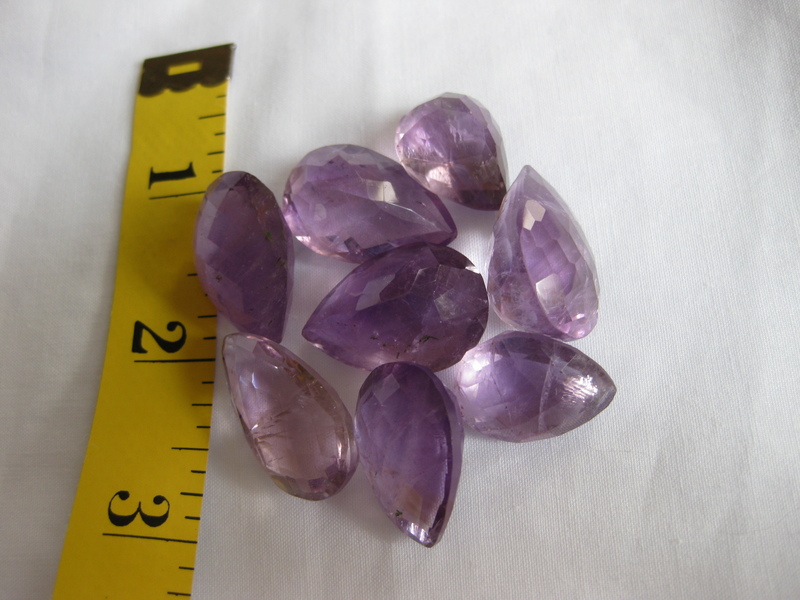 A couple of weeks ago, I took the “smallest” amethysts, and made these. Thin line, I know. I love them. 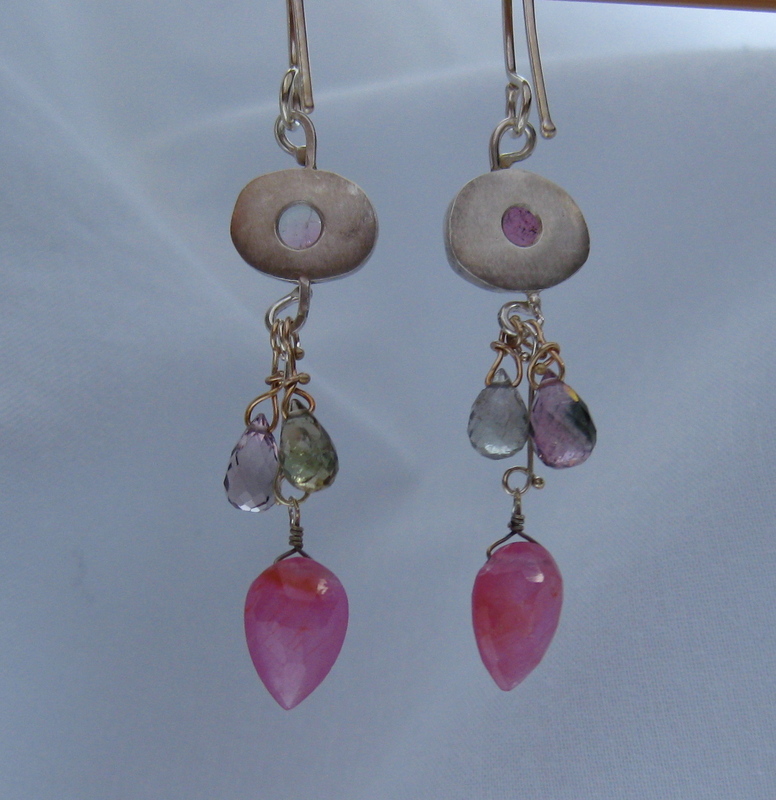 I have made more “reasonable” sizes with smaller drops. 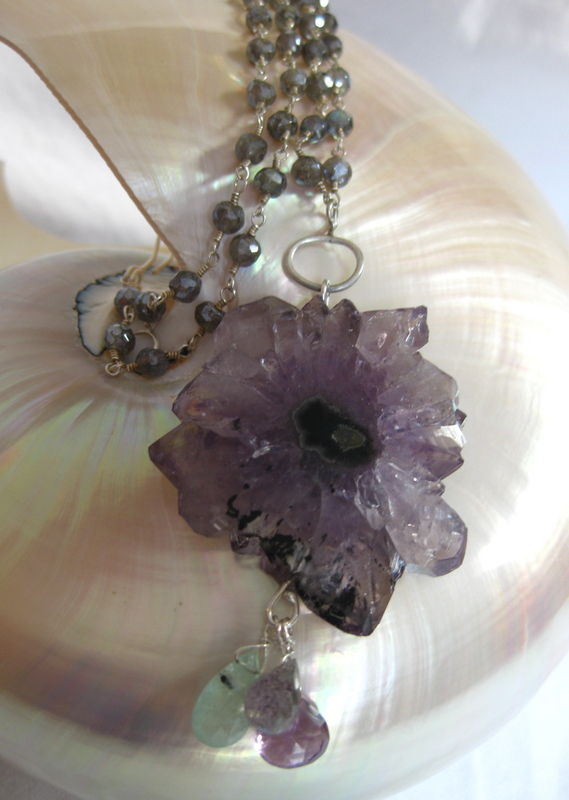 My latest favorite purple piece: Stalactite pendant with emerald, amethyst and labradorite. Almost every Holy Roller I’ve ever met (and dear God, thank you, but spare me from any more of your followers!) has made the point that Lydia (that’s me!) 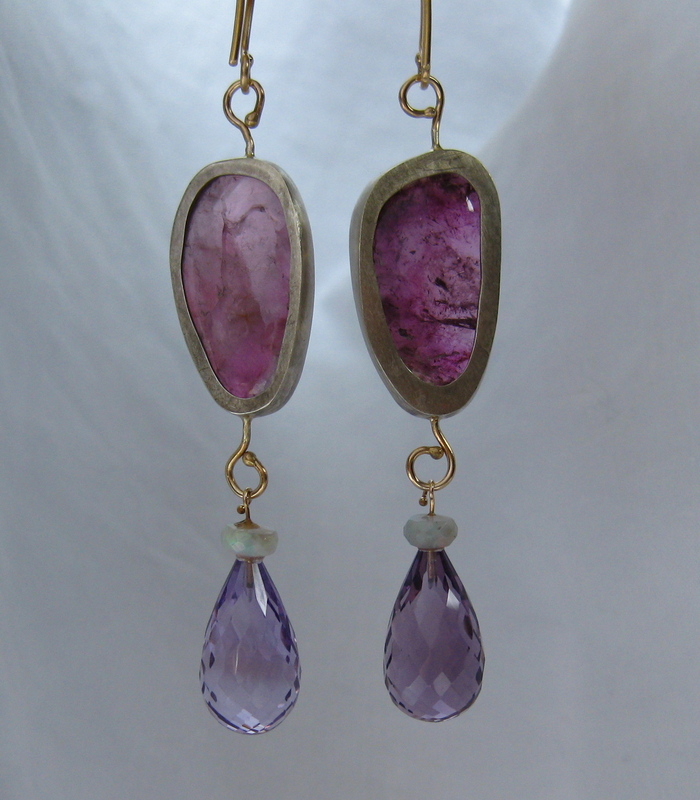 was the seller of purple in the New Testament. I like that. 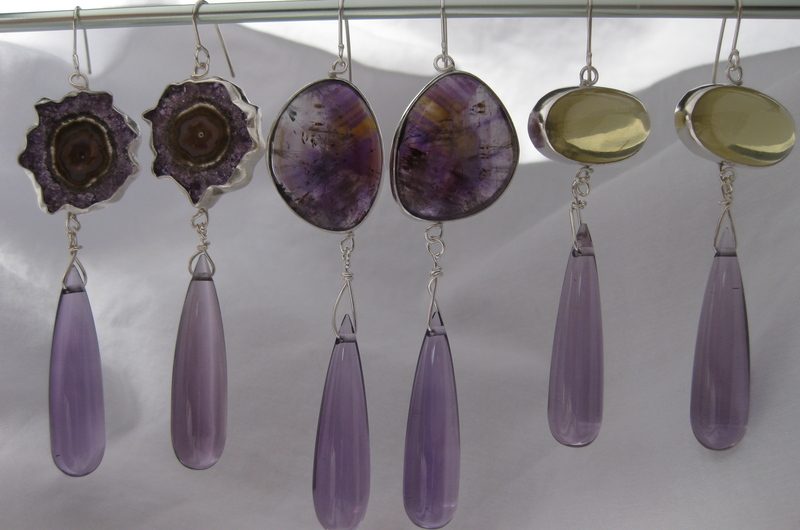 At that time, purple was only available to the noble classes, the dye was produced from shellfish and it was very difficult to make even a small amount. Apparently, she was a strong, independent and powerful person in her own right. And wealthy too! I’d rather be HER than Groucho’s “Tattooed Lady”! 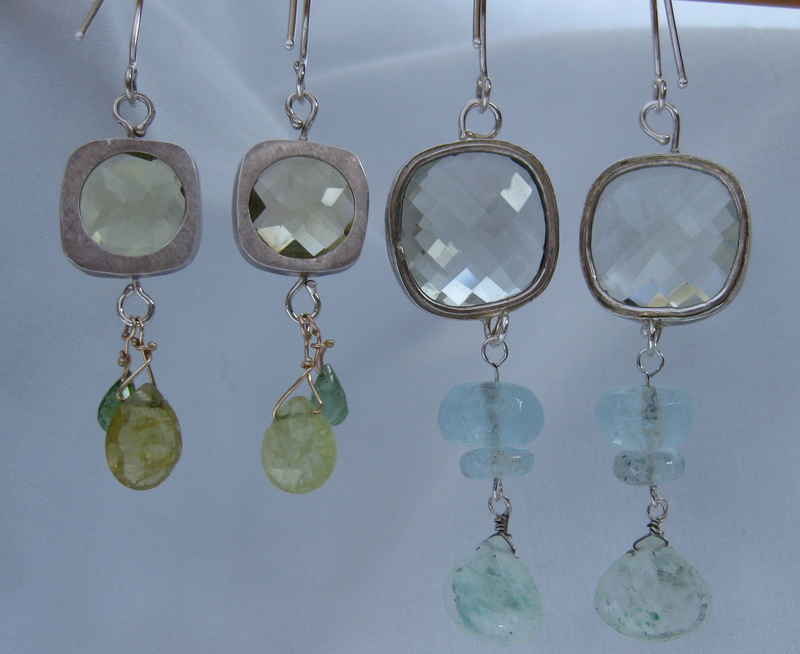 You are currently viewing the archives for May, 2012 at ledajewelco.